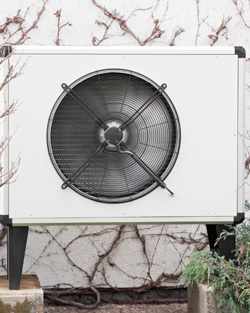 Heat pumps provide an all-in-one solution for heating and cooling. Heat pumps are an increasingly popular option with homeowners looking to save money on their heating and cooling expenses. Heat pumps work by moving heat without the need for a furnace to burn fuel to generate that heat. This allows for an extremely efficient process that can lead to significant savings. If you're interested in learning more about a heat pump system for your home, call the local experts at Air Inc. Heating and Air Conditioning today. We can explain all your options and recommend the best solution for your home. We offer free estimates on heat pump installation in Branford, North Haven, Guilford, and the surrounding areas. Heat pumps typically are either air source or ground source. This means they gather heat from the outside air or ground and pump it into your home while in heating mode. When in cooling mode, they gather the heat inside your home and pump it outside. Heat pumps work through the use of refrigerant and evaporator coils. For heating, the fan pulls in outside air to warm liquid refrigerant, which absorbs the heat and turns into vapor. This vapor is run through a compressor that further heats the air as it's moved to the heating coils in the air handler, which distribute the warm air in the home. In cooling mode, the indoor coils are the ones that absorb the heat from inside your home, sending the heat back through the system and outdoors. The air is then replaced by cooler air as the refrigerant moves throughout the system. If you're looking to maximize your energy savings, a heat pump system could be the right option for you. The HVAC experts at Air Inc. Heating and Air Conditioning can help you determine what the best options for your needs are and provide you with complete installation services. Call us today at 1-844-359-5454 or contact us online to get a free estimate on the heat pump installation for your home. 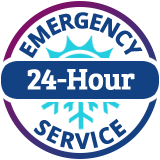 We offer all our heating and cooling services in Branford, North Haven, Guilford, East Haven, Madison, New Haven, Hamden, West Haven, Milford, Woodbridge, and throughout the surrounding areas!